apart of a community, and have students and adults who continue to guide and support them. We hope that teenagers better know themselves, their faith, their role and purpose in the Christian life, and how to share God's neverending love with those around them. We are an open group who accepts students as they are and welcomes them with open arms. Wednesday night youth 6:00PM-7:30PM. Sunday School for the youth: 9:45AM-10:45AM. Our Summer schedule has concluded. The youth will continue Normal Hours. The guys will meet at the church on Friday, April 19th, at 2pm. We will return Saturday morning when we wake up and break down the tents, probably around 9-10AM. The youth will be going to Ridgecrest, NC. this year for Mission Fuge. The trip will be June 10-14. Click HERE for a link for the schedule. MFUGE is a mission oriented week designed to strengthen and empower students to share the Gospel. The total price per student will be $120, (due Feb 1st, and May 1st). The church will cover the remaining $200 per student! More information will be posted soon! An Overnight/Out of State Permission Form will be required to attend this event. Please join us on May 19th as we recognize our graduates! This service is going to be packed with many familiar faces, as we have a group of 16 graduates!!!! Please submit any other names that may be on the list to Ron Houser to have them added as a graduate to be recognized. Thank you! Please Sign up in the Youth Haven, or text Ron Houser to sign up for this event. The Juniors and Seniors will leave Friday, July 12th, and head out to cabins near Ashville, NC. Saturday will be packed with downtown visits and white water rafting! The price is to be determined; however, each student will most likely be paying anywhere from $50-$70 dollars to attend. This trip will REQUIRE the following permission slip: Overnight/Out of State Permission Form. Cedar Falls Baptist Church is beginning a new adventure with presenting the word of God through the minisrty of puppets! 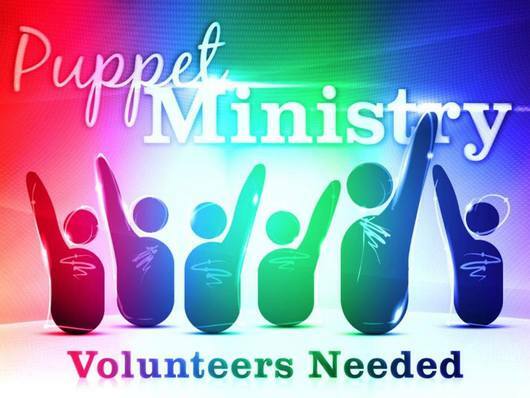 Volunteers are needed to make this ministry possible. Please see Teresa Hathcock as the point of contact for volunteering to be a part of this ministry! Keep an eye on the website or Facebook page for all updates and added activities! All students are asked to have a filled out permission form for all local trips. The permission form allows the facilitating adults to have emergency contact information for all the students. When the students go on overnight trips or trips out of state a more lengthy form is needed, which needs to be notarized. This form has more in depth medical information. Church basketball Please come out and support these guys when the season starts! See calendar for dates and times. Sunday School: each Sunday morning students grades 7th-12th meet in the youth Sunday school room (second to last classroom on the right, down the new Sunday school wing). The classes are broken up into Middle School and High School, with interactive lessons, and taught by dynamic teachers. Each week a new area of the Bible is studied, as we see how the story relates in our lives. Student Ministry Bible Study: every Wednesday night CFBC hosts a Wednesday night dinner from 5pm-6pm. Bible study starts after dinner at 6pm. This is a time to discuss a variety of topics, issues, and questions. We begin with games in the Youth Haven (downstairs in the old Sunday school wing), then moving towards our questions of the night. It is a good time of fun, friends, conversation, and growth. The goal is that everyone feels open to provide their opinion as we struggle and grow in our faith. Summer Friday Night Hang Outs: beginning in June the youth will have the opportunity to hang out at a different youth chaperone's house every other Friday night from 7-10pm. This is a time filled with relaxing fun, to include: board games, video games or movies! This unique atmosphere allows the youth to bond more closely with the leaders that support them, as well as giving them a place to enjoy their time in a safe and positive environment. Snacks will be provided, and friends are welcome to join! Winter Church Basketball: our youth boys team join churches from across the city to participate in a church basketball league during the winter months. Churches are able to submit teams to play for a chance to win the league tournament. Come support our boys team as they play hard, show good sportsmanship, and a great Christian attitude through the wins and losses. 5th Quarter: happens during the fall seasons, where students are welcome to come hangout in the Youth Haven from 9pm-12 midnight on Friday nights following a Pine Forest High School home football game. This is a time for students to come, bring friends, and have a place to 'hang out' for a few hours. There are always lots of games, snacks, and fun activities. The students have access to a basketball goal, volleyball court, pool table, foosball table, ping pong table, air hockey table, and 9 square. Open to all middle school and high school students regardless of church membership. Summer Volleyball: the months of June-August students will have the opportunity to play volleyball each Sunday evening from 7:00pm-8:30pm. We aim for this to be a time for fun, friendly competition, enjoying time with friends, cheering others on, and having a good time. All middle school, high school, and college students are welcome to join in on the fun. Join in on the fun and games on Wednesday night during youth group! Every game is new and unique to the lesson that is given. Find new ways to understand scripture by tying it into a fun activity! However, sometimes we just like to enjoy a game of pool or ping-pong, or perhaps toss the football and play 9 Square! Our goal is to create an atmosphere that builds a community of youth, brought together by similar interests. 9 Square: think about the idea of 4 square. Now take that game and turn it into 9 squares, keeping the ball in the air, making the game so much more interesting. See what it takes for you to become the master of an old school game. Come connect with us at our youth events!